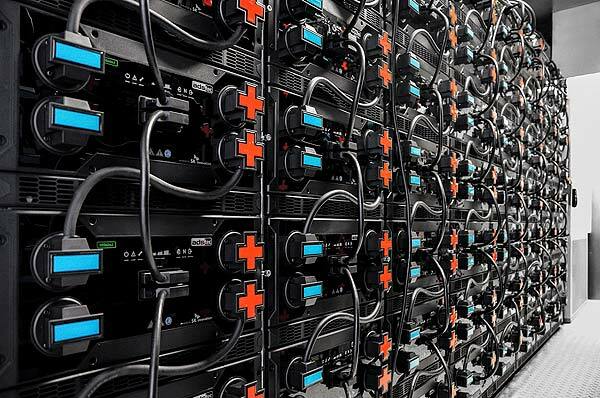 At this year’s Energy Storage, the company will present its world-leading fast charging technology as its latest development: the extremely compressed HPC Booster storage system with separate HPC Dispenser fast charging column. 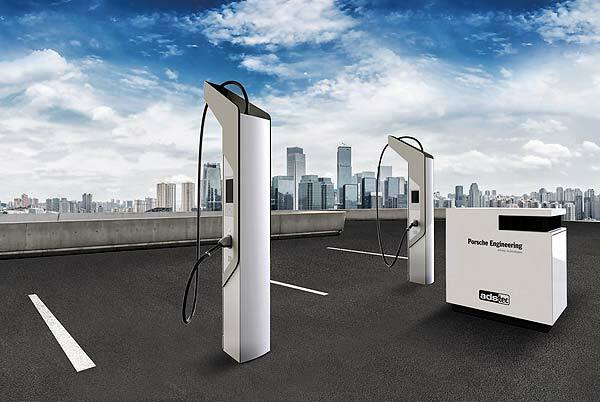 The system offers fast charging processes of up to 320 kW for ranges of up to several hundred kilometres within just a few minutes of charging and can easily be integrated anywhere in the limited-power distribution grid. With a surface area of 1.2 m × 1.2 m and a capacity of 140 kWh including inverter and air-conditioning technology, it is the world’s most compact and powerful battery system. The HPC solution was developed in cooperation with the Porsche Engineering Group. As an additional solution for E-mobility and as a local storage unit ADS-TEC also offers the PowerBooster outdoor battery system in a compact mini-container, which delivers high performance to fast charging stations and can be recharged using low output via the available mains connection point. This not only saves valuable time, but also costly medium-voltage systems, construction cost subsidies and expensive grid expansions. Meanwhile the PowerBooster can be used as a grid service station for network services (e.g. frequency control, reactive power supply or peak capping) almost anywhere and directly outdoors while connected to the 400-volt distribution network. The PowerBooster is available in various sizes of up to 240 kWh. Big-LinX Energy, ADS-TEC’s cloud-based IoT platform, allows all distributed storage systems to be monitored, securely coupled and integrated into customers’ higher-level management systems. The StoraXe “Home & Small Business” product portfolio for private households, apartment buildings, businesses, and commercial and public facilities includes storage systems of 19, 28 or 47 kWh. The systems are closed cabinet systems with integrated inverter, air conditioning and control. In 2018 they were once again awarded the “Top storage battery” by Manager Magazine. Due to their high energy density, number of cycles and constant high performance, they offer further-reaching application possibilities than simple self-consumption optimisation, which makes them particularly economical and lucrative. Another focus is on industrial storage solutions, which are primarily utilised for peak load capping, load management, emergency power applications and for combining with larger PV systems or as hybrid power plants. The systems cover bandwidths from 50 kW/kWh up to several mW/mWh. Large format customised solutions usually come in the container format. The modular design and the comprehensive IT management system allow almost unlimited scaling options. High-quality battery cells ensure the highest performance and lowest capacity losses across the batteries’ lifetime. As a company with decades of experience in the IT sector, ADS-TEC has created the IoT platform Big-LinX, which allows globally distributed systems to be connected to each other online. “Big-LinX Energy” provides different energy management tools. These already help during the planning, enable monitoring, remote maintenance or data analysis during operation and provide many possibilities for future business models and integrations. The added value of StoraXe systems from ADS-TEC lies primarily in IT and the added value provided by Big-LinX Energy.